It's no wonder this Resort has won the Best Destination Spa by Conde Nast Johansens. 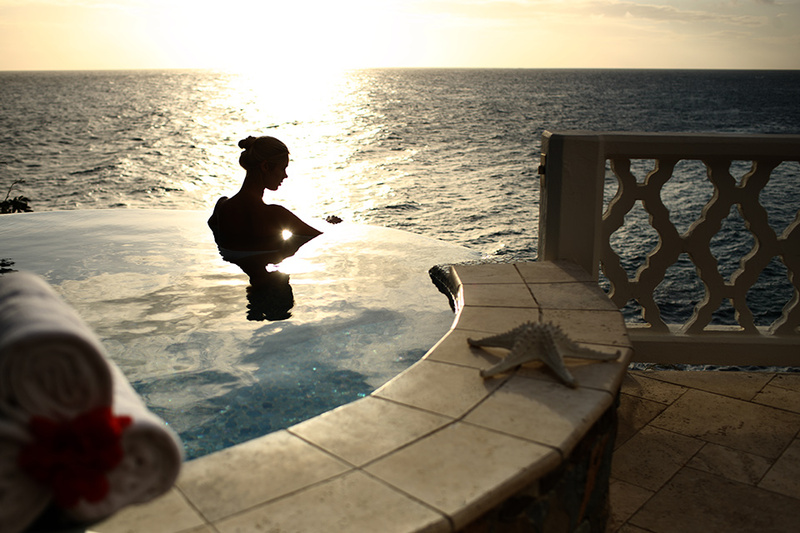 Escape to a new paradise at the spa, located on the Point of the Bluff. Treatment rooms have wide-open views over the ocean. 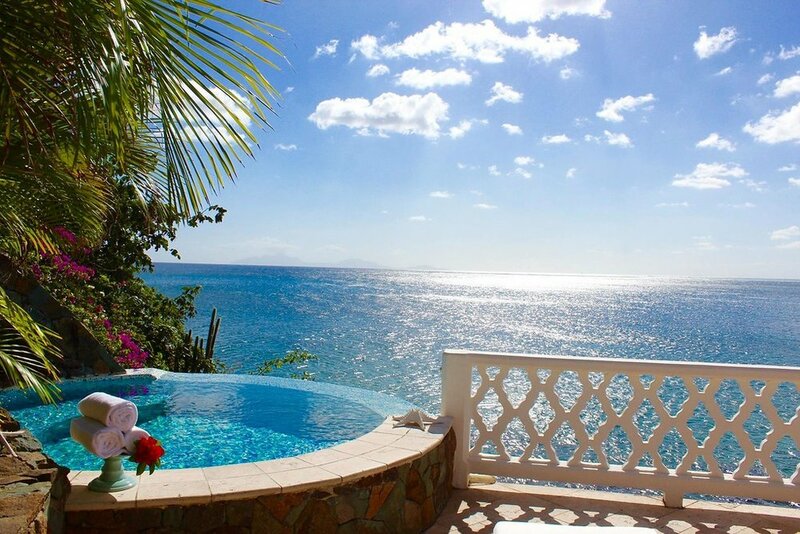 Imagine journeying down the bluff toward the Spa, sitting outside looking out towards the Caribbean sipping tea brewed from herbs picked fresh from the nearby spa garden. Afterwards, relax on the open verandah, sitting in the Jacuzzi on the cliff edge and snacking on “Spa Bites” like steamed asparagus, fruit and vegetable kebab. We especially loved watching the sunset from Spa's second floor hot tub, overlooking distant Montserrat, St. Kitts, & Nevis.